Roogles... Just Roogles: Happy Birthday Jenn! 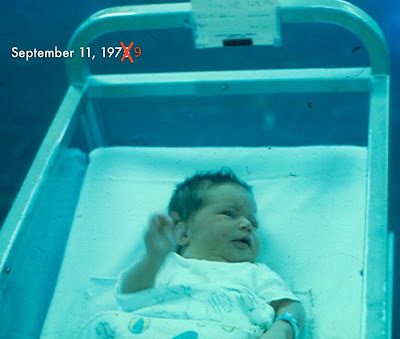 Twenty-nine* years ago today my wonderful wife made her entrance into the world. You can text Jenn birthday wishes by sender her an email HERE. (These will go as texts straight to her phone, so remember to keep them brief). You can also follow Jenn's birthday going's on on Twitter. * - what? you thought I would actually provide a foot-note on that?